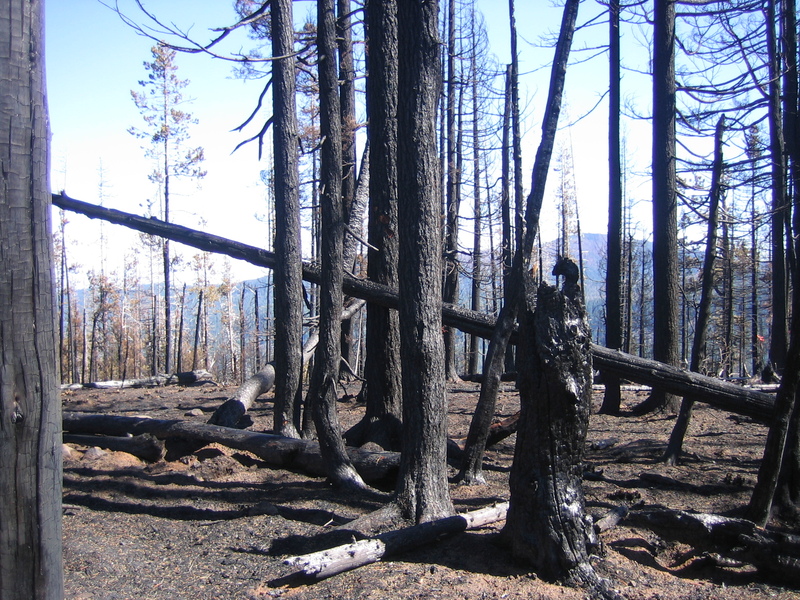 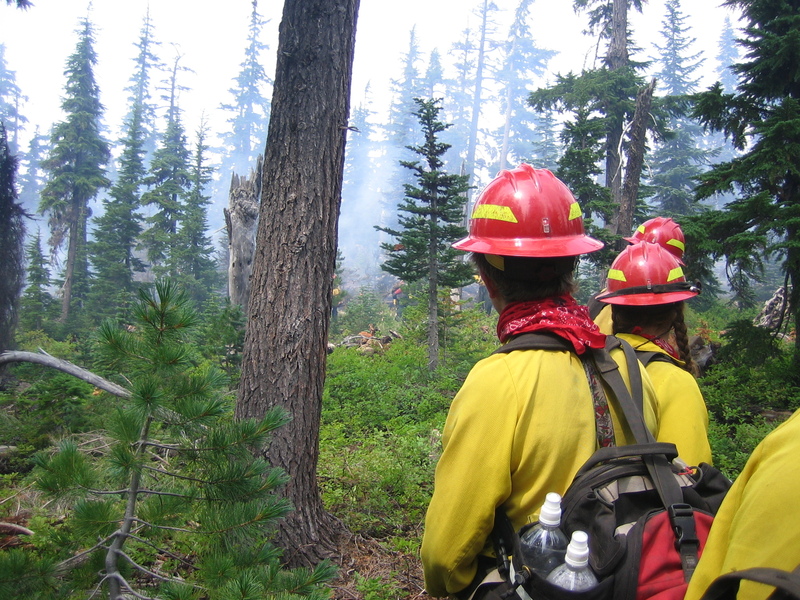 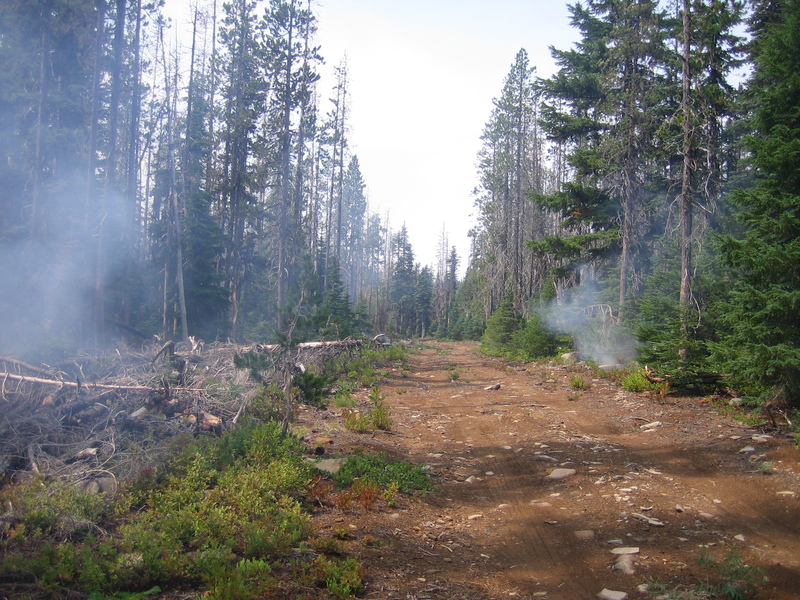 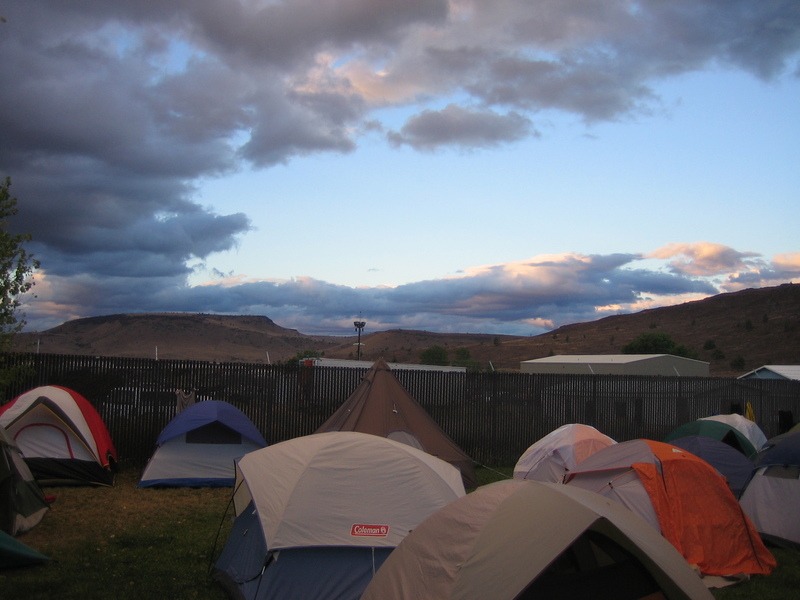 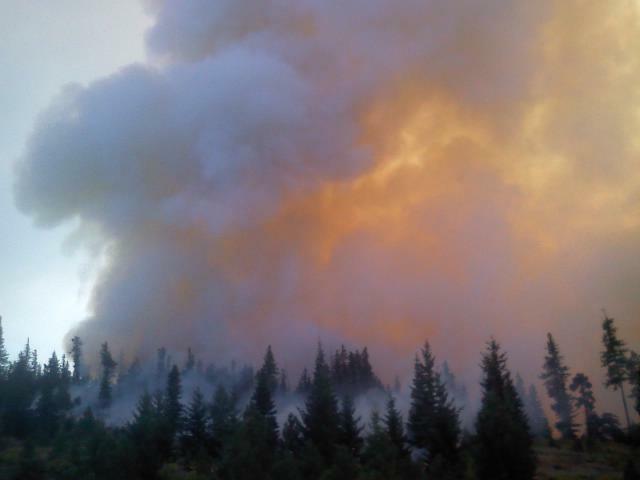 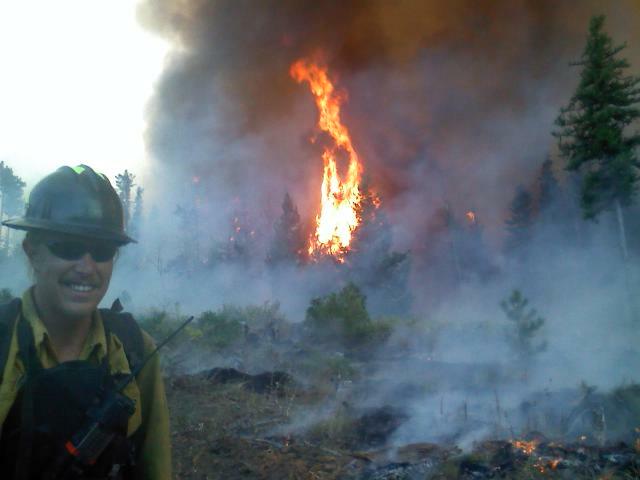 Oregon Woods, Inc. has been training and employing Wildland Fire crews since 1991. 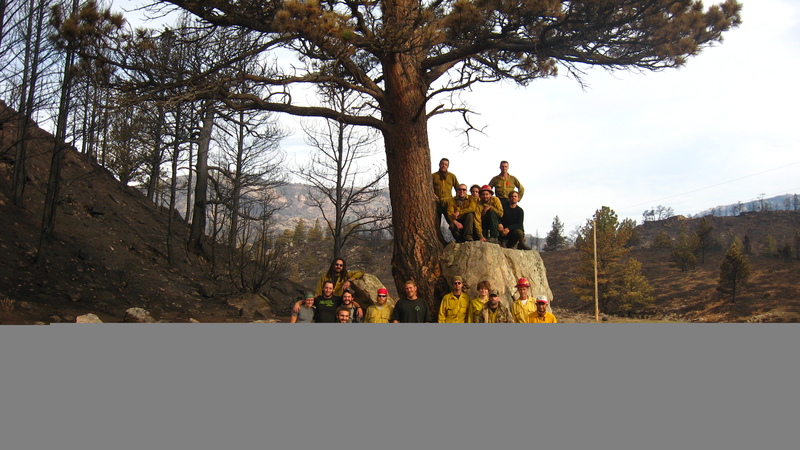 Our staff are knowledgable and hard working, with an emphasis on safety. 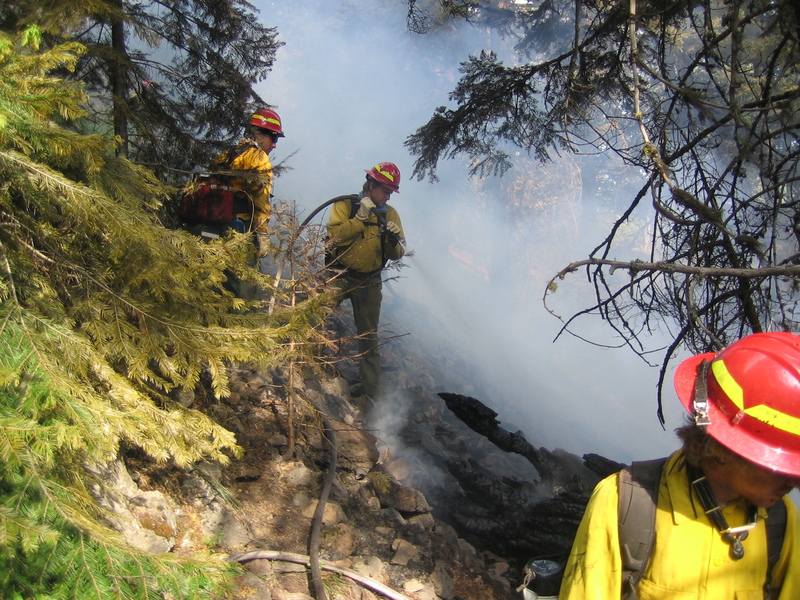 Our crews and engines are highly trained in fire suppression, prescription burns, and rehabilitation. 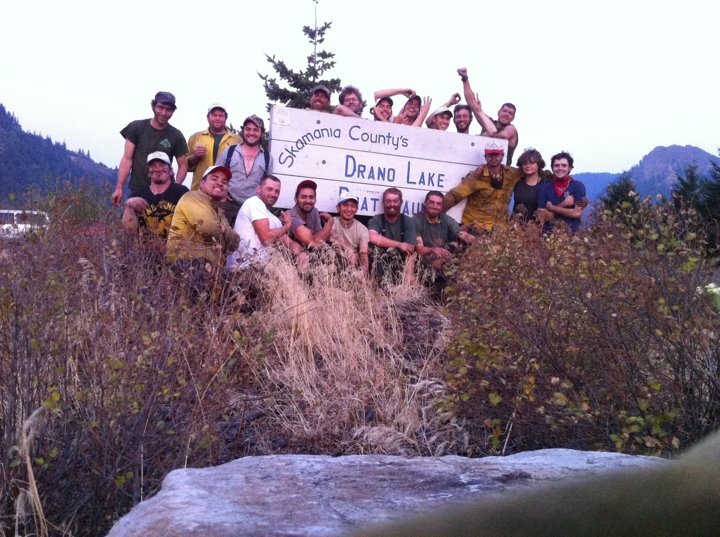 With over 100 year of cumulative experience, our crew and engine bosses are able to lead highly trained personnel to work alongside many different agencies, including but not limited to Oregon Department of Forestry and United States Forest Service. 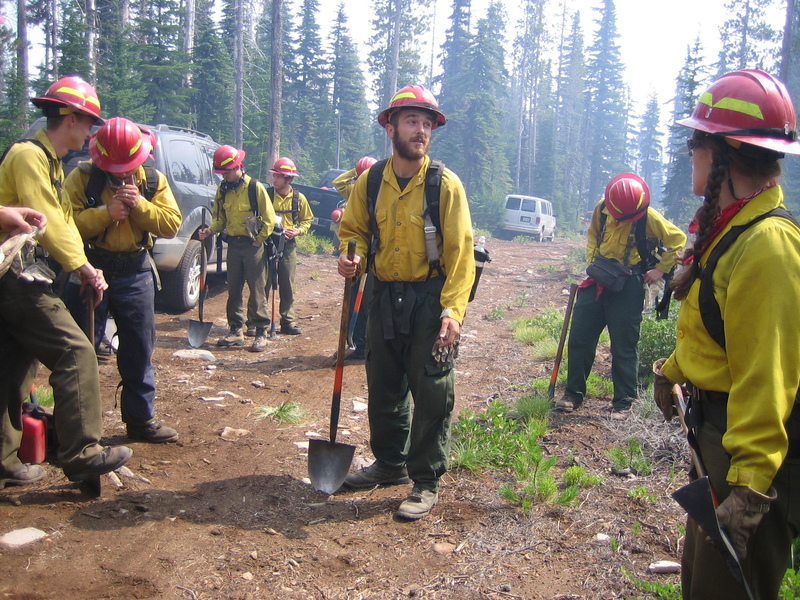 Lee and crew Lee is pictured giving a briefing to the fire crew.